Bike sharing programs at university campuses aren’t exactly new. And the one that students at MIT in Boston have been operating for two years isn’t high tech despite its university being synonymous with cutting edge developments. But the goal of these students is to take the program high tech, eventually linking it to MIT’s card program. While the program is called TechBikes, a more accurate term, according to one of its co-founders, Danny Shen, is “a no-tech communal bike” program … at least for now. “It’s a work in progress,” added Atif Quadir, one of the program’s other co-founders who was a graduate student and an adviser to freshmen in 2003 when the subject of a bike share program came up. The bike share program brought Mr. Shen, Mr. Quadir, and other students together in 2003 to form a club operated solely by MIT students. A long-term goal is to attach the bike program to the MIT ID card – which is used, like many campus cards, to check out library books and to gain access to dorms and offices. That could encourage greater use of the program, said Mr. Quadir. Currently, a student goes to the front desk of MIT’s east campus dorm and a staffer signs the student in and loans him a bike. 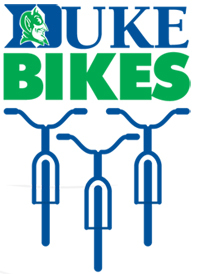 The student pays a nominal deposit that is refundable when the bike is returned. Students must return the bike in a day. The bike share project is based on the Zip Car program, a national franchise that rents cars by the hour. But the comparison stops there, because Zip Car costs money and it is the goal of MIT’s bike share program to keep it free. Of course that means the club has to seek out sponsors or other grant money. If the first version, the one in use now, is the “no-tech version,” the next iteration could be euphemistically referred to as the “some-tech” version, said Mr. Shen. This is what he’s working on now and involves a computer system in which people are registered. Students will be able to check availability and the club can track rental status and usage. “With that we can get card swipes working with a computer-based system,” said Mr. Shen. The next version, what Mr. Shen calls the “full-on system,” will be an automated bike checkout station. “Giving you an idea of when that will happen is tough. I know I won’t be around, but we have juniors coming up we can pass the torch down to,” said Mr. Shen.